The parts are usually supplied and can be used without problems. This review is about item#35045963. This review is about item#35045586. This review is about item#35045753. If set it will reach the size according to the maintenance manual, but there is one to slide at an early stage as it grows. There is abundant intermediate size and it is precautionary replacement so even if the delivery date is a little late it is appreciated without problems. This review is about item#35045717. It is used regularly with reliable quality equivalent to genuine parts. This review is about item#35045701. 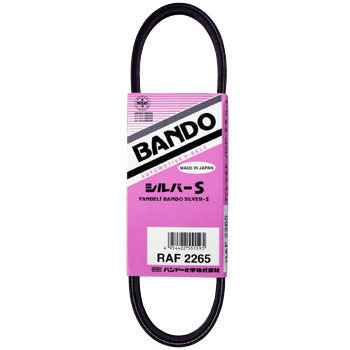 Because it is Bando chemistry, the product is firm. I am always placing an order. This review is about item#35045665. I can use it as a genuine product as it is. It is convenient because the price is cheap and delivery is also fast. This review is about item#35045814. I will exchange belts by myself. In general it is hard to be able to order a size that you can not order. This review is about item#35045936. It was very helpful almost without change as much as genuine products, regardless of price. This review is about item#35045884. You are cheap. You're early. You will be saved. It is a fixture at the time of emergency. I used it as a belt on the alternator side of Roadster (NA 6). I would like to exchange regularly at reasonable price. This review is about item#35045674. I can use it without problems. I do not know until durability will be used for a long time. This review is about item#35045692. This review is about item#35045902. I can use it without problems in the exam. I have not been delivered yet. This review is about item#35045972. This review is about item#35045735. You can use with confidence because the feeling of use does not change because of exchange with the same item. This review is about item#35045823.